Creativity comes in all forms. We decided to let our creativity loose in the kitchen. Back in December, we took some time to work on a bit of a passion project of ours. It was something the entire KEEN team had a hand in creating, and we’re so proud of the result! 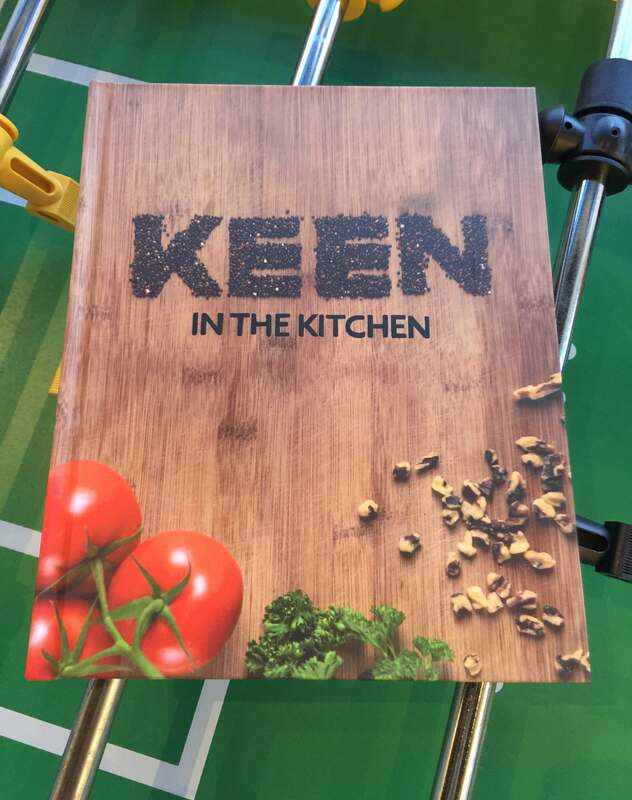 Introducing, the KEEN Cookbook! We really love food. We also really love any opportunity to flex our creative muscles. After noticing how much recipe swapping went on after every potluck we held, and after realizing that we spend half our time drooling over the breakfasts and lunches everyone brings to work, we figured a cookbook would be a fun way to combine our creative talents. We all brought our own favourite recipes to the table (figuratively and literally) and got to work. It was an all-hands-on-deck sort of project, with everyone stepping in to lend their time and talents. From photography and art direction to graphic design and writing and even lettering made out of quinoa (which is much harder than it looks), it was a fun and challenging project that we’re all proud to call our own. We even made a video to document the process, which you can see down below! It’s pretty adorable, if we do say so ourselves. Inside, there are recipes that cater to a number of diets, from celiac-friendly pie, vegan-friendly soup, and even FODMAP diet-friendly zoodle pasta. 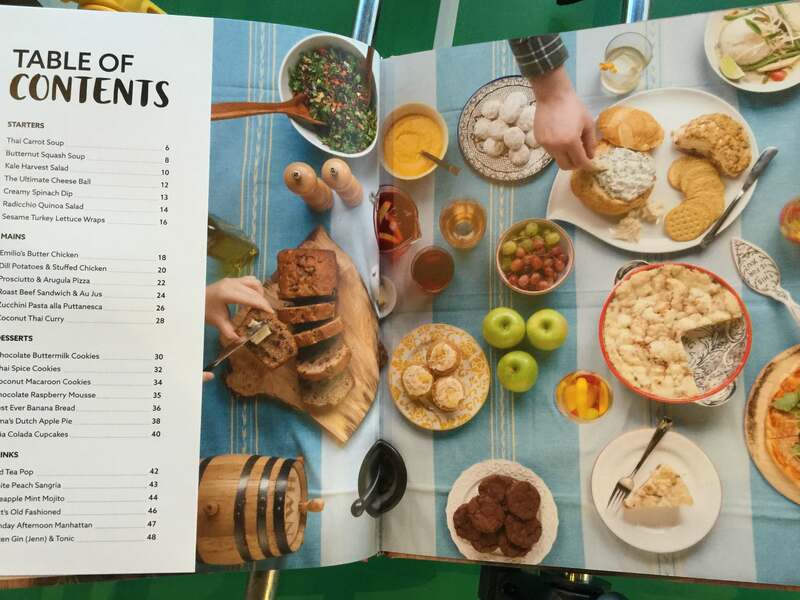 There are salads, cookies, desserts, breads, and even some delicious drink recipes in there! We had so much fun putting this project together, and we hope you enjoy this glimpse into our process!